Cernobbio, May 2015. 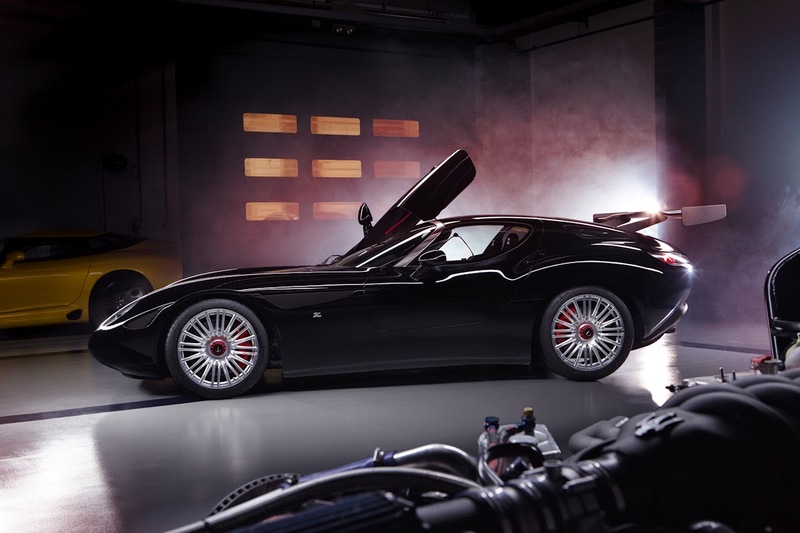 The Mostro powered by Maserati is the latest creation of Zagato's current Iconic decade, a new tradition for the atelier that began at the end of coachbuilder's Neoclassical period (2000-2010) to celebrate the most iconic models of automotive history. Marking the delivery of the first customer car, Zagato will present the new Mostro as a world premiere at the Concorso d'Eleganza Villa d'Este. 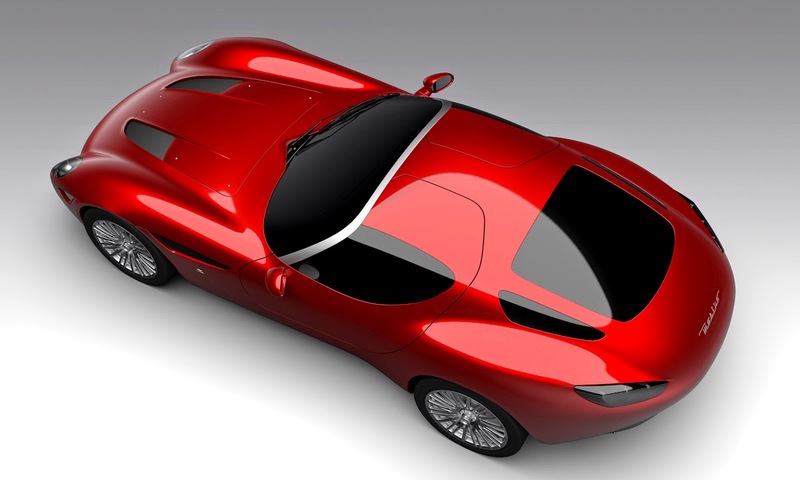 In 2010, Andrea and Marella Zagato launched a project to celebrate 100 years of Alfa Romeo and it materialized into the Alfa Romeo TZ3 Corsa, a one-off, and then nine multiples of the TZ3 Stradale (road car) followed. Inspired by current trends in the automotive industry, these models initiated a new outflow of cars from the atelier, which has recognized some car models as icons on their own, at times bearing more importance than the marque itself. In the sector of collectible cars, this became the case for the Maserati "Monster" and "Birdcage"; Ferrari "GTO" and "Testarossa"; Alfa Romeo "8C" and "TZ", and the Aston Martin "DB4 Zagato" and "Vanquish". Among all of the mass-produced cars, this process also involved Fiat "500"; Volkswagen "Beetle" and "Golf"; Ford "Mustang" and GM "Corvette"; Porsche "911"; Dodge "Viper" and, perhaps also, for the Alfa Romeo "Giulia". The Mostro celebrates the centenary of Maserati and one of the most iconic racing cars in the history of the Tridente: the Maserati 450 S Coupé Zagato "Monster", designed in 1957 with Frank Costin, a specialist in aerodynamics, and coachbuilt in Milan for the 24 Hours of Le Mans at the request of Stirling Moss. 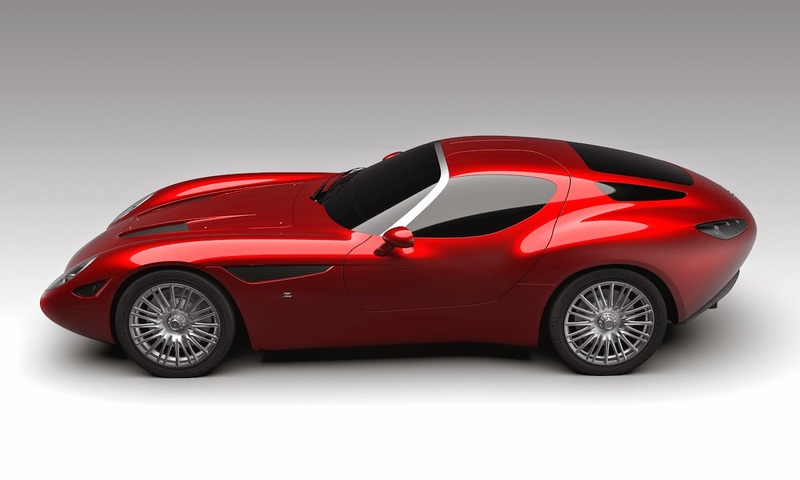 Only five examples will be made and each has already been assigned to selected Zagato car collectors. Deliveries will be completed before December 2015, at the end of Maserati's anniversary year. Exactly as the Maserati 450 S Coupé Zagato "Monster" was built for sport competitions and, subsequently, converted into a road car, the Mostro has been created from pure racing mechanics while also being road sanctioned. This philosophy, stemming from the late '40s, was the basis of the commercial success, both in sport and in style, for the Gran Turismo category. The cars from that period were produced with racing mechanics and also equipped with a luxurious interior that made them more comfortable for normal circulation. Zagato, since the '20s, has been the leader in coachbuilding sport coupés and spiders with two-doors. During the second half of the '50s, when the GT category had reached its height in popularity, the company founded in 1919 by Ugo Zagato was collaborating with all of the major European brands: Alfa Romeo, AC Cars, Aston Martin, Bristol, Ferrari, Fiat, Jaguar, Lancia, Maserati, OSCA, and Porsche. The chassis of the Mostro is made of a MonoCell of carbon fiber coupled to a mid-structure of steel tubes in order to create the cockpit, as well as a subframe that sustains the fuel tank, exhaust system, rear suspension and gearbox. 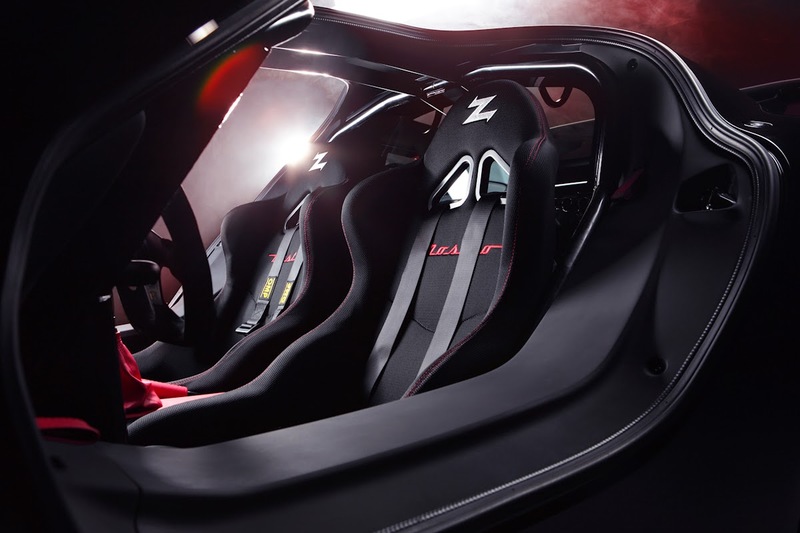 Made in Italy, the bodywork is entirely carbon fiber. The central-front, V8 Maserati engine with dry-sump lubrication is equipped with a customizable, engine-management system. The engine is connected to the rear-positioned gearbox (a semi-automatic, six-speed transmission) and differential by a rigid tube (transaxle), which optimally distributes the weight of the car along the longitudinal axis. The front and rear suspension has a double wishbone architecture with a pushrod, spring/ shock absorber system. The Mostro is equipped with large disc brakes and 19" alloy wheels. Front and rear tires specifications: 255/40 R19 and 295/35 R19. Cernobbio, May 2015. The Mostro, a coupé-body design on a sports car chassis, celebrates a rare icon of extreme performance belonging to an automotive era of great design and race engineering developments. 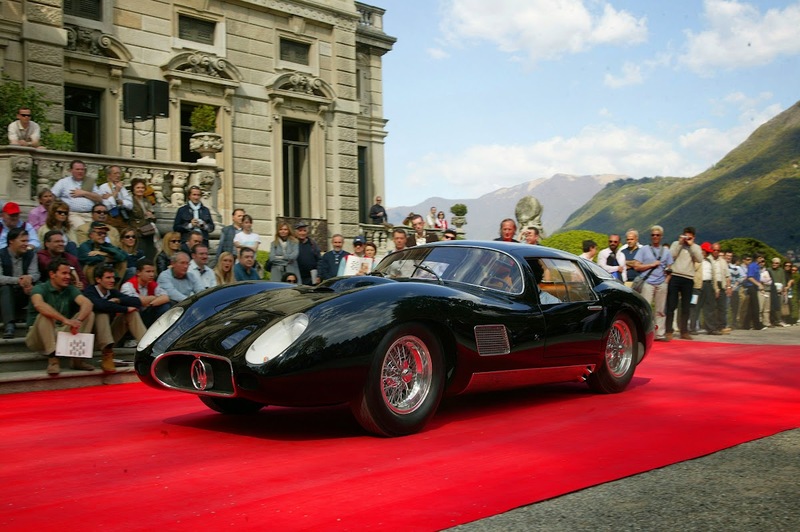 The Maserati 450 S Coupé Zagato "Monster" was, until the 90's, the most powerful frontengined race car in the world. At the 1957 24 Hours of Le Mans, amid a competition dominated by light, open-bodied barchettas, the 450 S Coupé Zagato was the only sports car with closed bodywork capable of competing for the final victory. Its futuristic shape (long nose, cockpit and round tail collectively designed to have a very compact volume) represented the most extreme and advanced concepts of aerodynamics at the time. 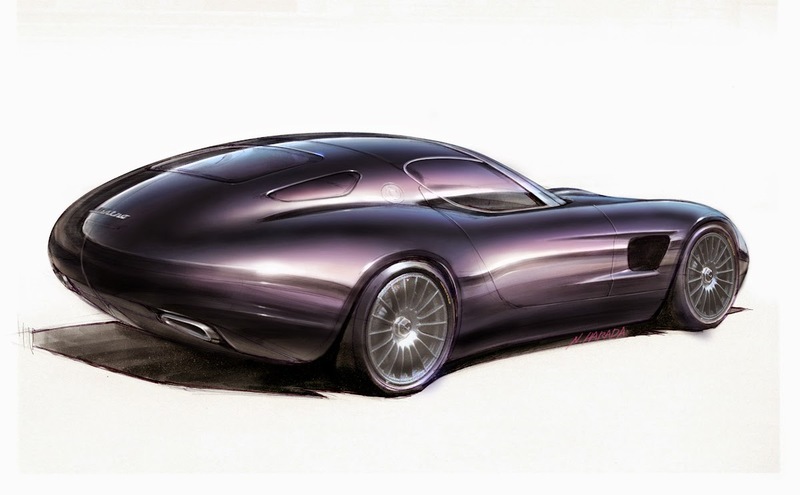 Soon thereafter, Zagato started using the new aerodynamic concept of the truncated tail (or Coda Tronca) extensively, which had been introduced by Professor Wunibald Kamm. The design of the 450 S Coupé Zagato "Monster", traced by Frank Costin and Zagato, aimed to achieve maximum aerodynamic efficiency for the long straight of Hunaudières at Circuit de la Sarthe, where it could take off using all 400 hp of Maserati's V8. Therefore, using Zagato's Milanese school of thought, the body of the 450 S Coupé was designed and stylized accordingly, technically-projected by function before aesthetic. The result was harmonious in both style and technique, though artistically "raw", and spontaneously executed by the carrozzeria's fast drawings on blank sheets of white paper and hand-beaten aluminum sheets modelled into a body. In order to maintain the integrity of the original Monster, pure and essential in design and organically created by a combustion of creativity and fresh ideas, the Zagato Atelier designers precisely outlined their creative process for the new Mostro in advance. The goal was not to create a second "monster" body, but rather implement the same instinctive philosophy and approach towards volume that is at once simple and spontaneous. 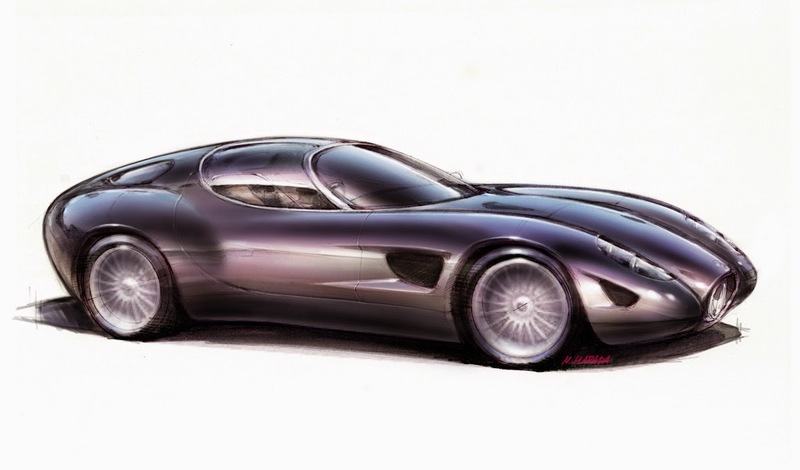 Thus, Zagato Atelier decided to avoid stylizing the Mostro and simply created a form. The final design of the Mostro is not nostalgic, but rather iconic. Starting from the 450 S Coupé, there were specific design elements more substantial than others that identified its classic design and timeless beauty, then and now, in order to obtain the best aerodynamic result for a modern race car. The proportions of the Mostro are similar to those of the 450 S Coupé Zagato: an enormous frontal part that houses the engine, centrally positioned with exceptional vicinity to the driver for optimal weight distribution. This creates a sensation that there is no division between the interior of the body and its small, rounded tail. The large front fender, running along the entire length of the frontal part, disappears at the door and from there begins the line of the car's massive rear fender. These treatments of the car's volume allow significant stylistic purity to remain with the shape of the bodywork. - Large rear fixed-wing (produces adequate downforce on the rear axle).